The 20 year anniversary marks an important milestone for the company as we look back on our incredible heritage of talent and accomplishments. Faronics is continually investing in new generations of talented staff and we continue to celebrate long term business relationships with our valued customers. Founded in 1996, Faronics is headquartered in Vancouver, British Columbia and is a privately-held company with nearly 30,000 unique customers using over ten million licenses in over 150 countries. Faronics has a history of providing excellent value to customers, selling direct and through channel partners to enhance existing relationships, local presence, and value-added services. Faronics delivers software that helps manage, simplify, and secure multi-user computing environments. Our suite of products ensures 100% workstation availability, and frees up IT teams from tedious technical support and software issues. 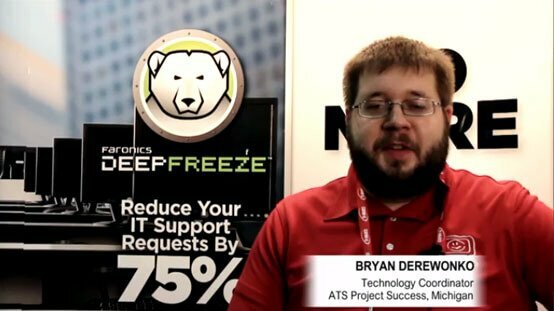 Faronics Deep Freeze reduces IT costs by preserving desired computer configurations. Faronics Anti-Executable prevents against unauthorized software, while Faronics Anti-Virus ensures high-performance, endpoint malware protection. Faronics Power Save lowers energy costs with intelligent energy management. Faronics Insight delivers total control over classroom computers, whereas Faronics WINSelect enables IT administrators to customize their access to applications, websites, programs, and menu options. Faronics’ technology innovations benefit educational institutions, healthcare facilities, libraries, government organizations and corporations. 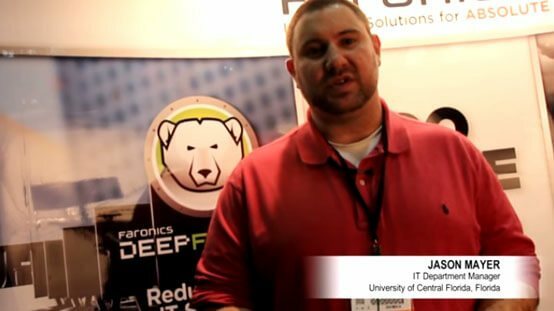 With offices in the US, Canada, and the UK, Faronics has developed a strong global network of partners to deliver its award winning products. From education, government and healthcare, to retail, financial and small-to-large corporations, Faronics products support a diverse range of customers and their corresponding networks. At Faronics, we work closely with various industry organizations and agencies to share information, coordinate our efforts towards common goals, and establish best practices. Faronics is a Microsoft Gold Certified Partner and demonstrates an extremely high level of competence and expertise with Microsoft technologies. As an ISV, IHV or system builder, Faronics complements technologies and services provided by Novell and completes the set of solutions customers need. ISTE consists of a worldwide membership of leaders and potential leaders in educational technology. Faronics is a corporate member. EDUCAUSE helps advance higher education by promoting the intelligent use of IT. Faronics is a corporate member. 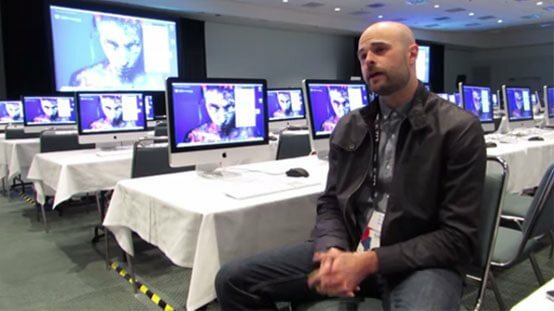 By using Deep Freeze, the Adobe IT team can guarantee perfectly operational computers for all its attendees at the Adobe Max 2014 event. This helps us achieve our objective of providing hands-on training to creative professionals on the latest Adobe products without interruption. 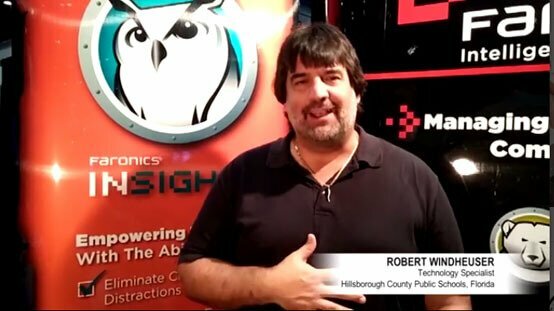 Faronics Insight is a great product! It helps our teachers to easily collaborate with students. It not only monitors computers but also helps teachers integrate well with students. On the scale of 1-10, I will definitely give it 11. I really like Deep Freeze as it makes my job so much easier. Kids keep changing the desktop and they feel that they have control of their computers, but actually they don’t. This is because as soon as the computers restart, the desktops go back to where you had set it. You have the control over the computers. 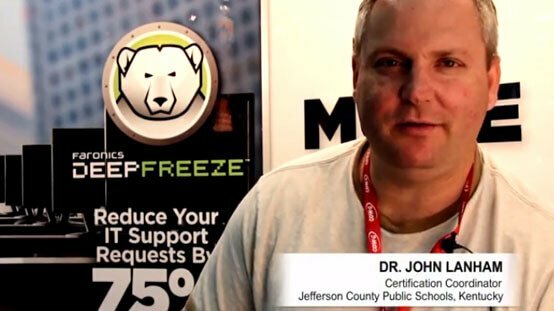 We use Deep Freeze on our computer labs across 21 school districts. It is really a great product. It helps us make sure that whenever teachers or students work on the PCs and alter machine setup, all the settings are back to where they were when we restart the PC. 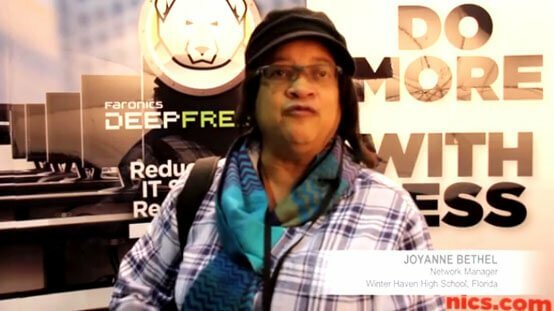 We use Deep Freeze in our classroom computers and computer labs. What I really love about Deep Freeze is its ability to freeze the settings, so there's uniformity among classrooms. Our students have the habit of customizing computers and browsers. Upon restarting the computers, all the unwanted changes are wiped out. It makes computer management easy and very hassle free. I love Deep Freeze. As a computer teacher with over 10 years experience, it saves me at least 20-30% of my time. The best thing is when students make any changes on the computers, I can just reset them by simply rebooting the system. I can focus more on preparing for classroom lessons. Insight has improved productivity in my classroom. I can easily control and monitor the students’ activities on their computers. It is really a good tool for my classroom. We also use a product called Deep Freeze which helps us during malware attack. Please keep producing products like Deep Freeze and Insight. We have been using Deep Freeze probably from 14 years. Students pull down and store videos, get in viruses and malware stuff during their class. When that machine shuts down at the end of the day, next day when it starts all the unwanted stuff goes away and becomes brand new the next day. It is the best security solution for computer labs in high schools. If you are not using Deep Freeze, then you're wasting a lot of your time repairing children's PC problems rather than spending your time in teaching. 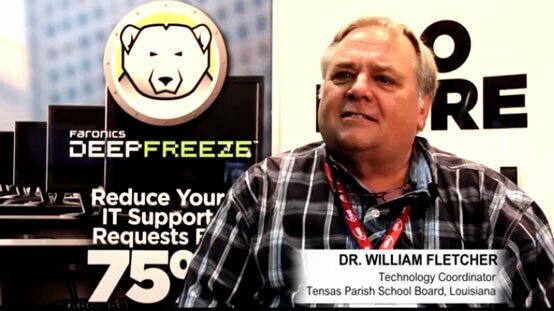 We have been using Deep Freeze from 7-8 years in our Mac and Windows lab. It is a tremendous software. Children who like to explore are going to change the background or the settings. But with Deep Freeze in place, the computer is left just as it was earlier with a simple restart. We have been using Deep Freeze program for 5-7 years and it has made our job so much easier. I can just restart the computers to fix everything that kids had done, and we are back and running within a minute. It is absolutely wonderful. We were having so much trouble with children changing desktop settings earlier and with Deep Freeze it is just so nice to be able to get the computer restored. If they have done a lot of changes, I can remove them by logging off and signing back in. This saves me a couple of hours every time there is a need to re-image the computers. It is such a time saver and it allows me to keep the computers clean for students to use. We have been using Deep Freeze probably for 8-10 years. It is a great resource for us to have. It helps us keep our devices the way they are supposed to be.